You fried fish Tuesday night. Your neighbor took the pad thai chicken that&apos;s been in her fridge since July and put it in her garbage can...last week. It&apos;s a fact, odors in an apartment building tend to multiply, and not in a good way. 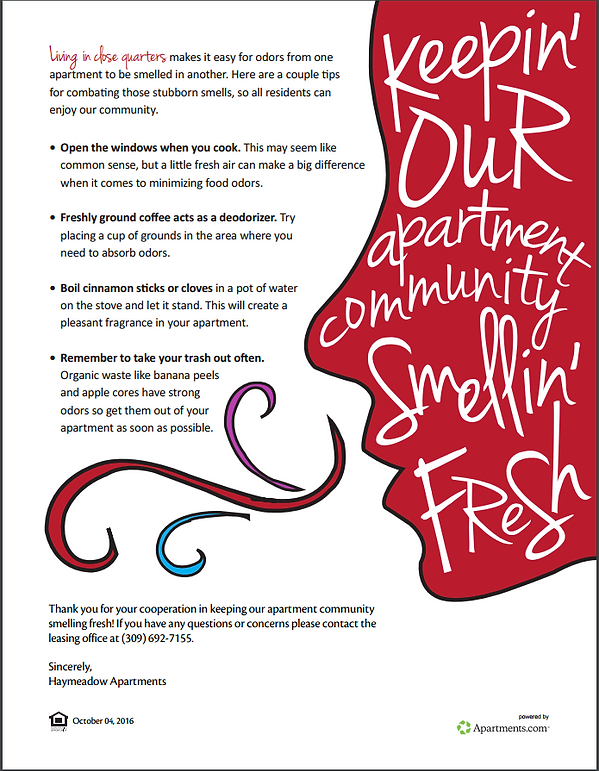 Thankfully, we found some tips to share with you on how to keep things smelling fresh in your building! Speaking of which, at my house I&apos;ve use sliced oranges in a pot of boiling water, and placing laundry sheets in the closet where my and my son&apos;s shoes are - both work! How about you? Any tips to share?